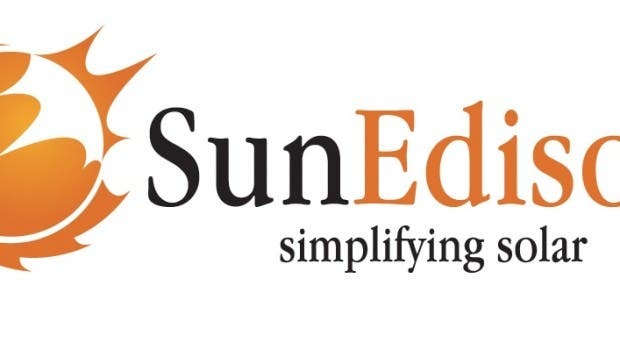 The lowest bid for solar PV project in India now belongs to SunEdison. The company participated in a 500 MW auction under the revamped National Solar Mission. While a number of companies participated in the auction, SunEdison secured the entire 500 MW capacity. The company placed a bid of Rs 4.63/kWh (US¢7.12/kWh). SunEdison beat the lowest bid record of SkyPower, which secured a 50 MW project under Madhya Pradesh solar power policy earlier this year. A subsidiary of SkyPower won the 50 MW project at Rs 5.05/kWh (US¢7.7/kWh). The lowest winning bid before that was by First Solar at Rs 5.25/kWh (8.27¢/kWh) for a 40 MW project in Andhra Pradesh. The bid by SunEdison is at a 34% discount to the tariff determined by the Central Electricity Regulatory Commission for the current financial year. While SunEdison would be paid Rs 4.63/kWh (US¢7.12/kWh), the utilities would be buying this solar power bundled with power from coal-based power plants. The utilities would thus pay just Rs 3.50/kWh (US¢5.38/kWh). Earlier this year, SunEdison pledged to install 10 GW of solar power capacity in India over the next 5 years.